For the first few years of our marriage, Johnny and I were gifted a Costco membership each year. 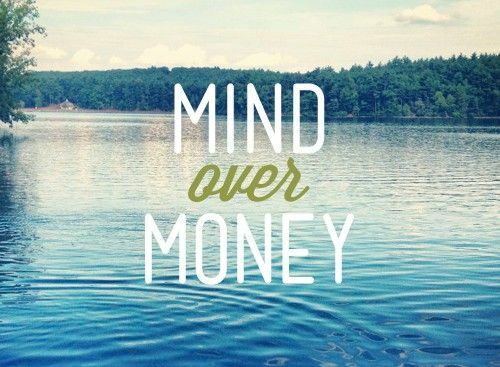 And when something is given to you for free, it’s a no-brainer to take full advantage of it. But about a year ago, the time came when we no longer had the luxury of a free Costco membership. And so we had to decide whether it was worth paying a store to let us come buy stuff from them. When I put it that way, it sounds like a pretty terrible idea, right? But, after weighing the pros and cons, the pros won out and we decided to purchase our own Costco membership. Before we could stand against the wall and let them take a barely recognizable black-and-white photo of us, we first had to decide which kind of membership was the best fit for us. There were three options: Gold Star Membership, Business Membership, and Executive Membership. Gold Star Membership ($55): This is the standard membership for individuals and households. Business Membership ($55 per person): This membership is geared toward business owners, with each person added to the plan costing an additional $55. Executive Membership ($110): This membership gives back 2% on all of your purchases. At the end of the year, Costco will send you a check for the cash back you’ve accumulated. If the amount on the check isn’t at least $55 (the cost of a standard Gold Star membership), their customer service counter will give you the difference. Based on the one with the most robust description, can you tell which membership we chose? That’s right: the Executive Membership. Thanks to the money-back guarantee, it won’t end up costing us more than the Gold Star Membership. And shoot, we might even make a little extra money off of it! Since Johnny and I are all about maximizing our rewards, it seemed like the best fit. *These savings reflect average costs at our local grocery stores and will vary by store and location. We’ve also found deals on other everyday items such as wipes, baking ingredients, certain cereals, and snack foods. We really like that Costco gives us the ability to buy high-quality goods at a fraction of their usual price. Another factor that played into our decision to purchasing a Costco card is that we have a Costco just 6 minutes down the street (traffic prevailing). I may or may not have timed it once. That proximity allows us to cash in on their great gas prices, too. Despite our obvious zeal for everything Costco has to offer, we don’t just go hog wild each time we enter the store (although I can’t speak for Sally when she gets near the free samples). We’ve set up a couple of basic rules that we stick to so Costco doesn’t become just another way to overspend. Just like with our regular grocery shopping, we always make a list before going to Costco. And with all the additional temptations awaiting you down every aisle at Costco (big screen TVs, 20-person tents, 11lb. jars of Nutella [!!! ]), I think this rule is even more important at that blessed store. I had to go pick up some milk and a few other basics a few days ago. But there were a few items I held back on purchasing since I knew they’d be going on sale later that week. We always scour the little Costco mailers to see if any of our regular purchases will be discounted in the near future. So that’s why we Costco. It’s a fairly easy way to save some money on our basic groceries and everyday items. So now we want to know: do you Costco? Why or why not? I have a Sam’s club card instead of Costco but that’s for a few reasons. 1. There is a Sam’s 5 min from my house and on the way home from work and 2. I have managed to get my yearly memberships for $40 which includes a $20 SAMs gift card so it’s only been costing me $20 a year. I like costco better than Sam’s but since we don’t buy as much stuff the costco membership is too costly for us. Awesome, Kay! It sounds like the Sam’s membership is perfect for you guys! I feel the same way about Sam’s, because we don’t have Costco….there are things you can buy there that have way better prices – even after using a coupon at a regular store! Yep… Costco and Sam’s are both pretty darn great! My husband’s parents swear by Costco, and we just moved very close to one. We’ve been talking about getting a membership – I think we definitely need to now! I know some couples think because it’s just the two of them that a Costco membership is excessive, but it’s been a big money saver for us. If you have the room to store a few dozen rolls of toilet paper and extra contact solution, etc., I say go for it! We do costco! Little known fact: the Kirkland dog food is a high quality dog food that is about half the price of dog foods with similar ingredients. I don’t want Ada the Dog to have food with corn, soy, wheat, or animal byproduct. Kirkland fits the bill! When I lived in Miami, I lived in a tiny studio and couldn’t really buy anything except dog food at Costco (because I didn’t have enough space to store it). It was still worth the membership cost, even with my only purchase being dog food, because their dog food is such a good deal! How awesome! That’s good to know. We buy the Kirkland cat food, and it’s a crazy good deal. We have a Sam’s nearby and we also received a free membership about a year ago (through my husband’s work). It has just expired and we’re deciding if we want to renew, but I have to say we didn’t shop there as much as I thought we would. Could be because we have an Aldi that’s even closer and their prices beat almost everyone’s, or that we tend to only buy a few days worth of groceries at a time. Do they have a store similar to Aldi where you guys are/have you ever shopped there? I’d be curious to see what you guys think. For example, here (Fort Worth) their prices on a gallon of milk and a dozen eggs are close to $2 and $1 respectively. They definitely aren’t a one-stop shop, but you can get the basics there and I’ve never had issues with quality. We don’t have an Aldi nearby, but I’ve known lots of people who love ’em. It sounds like that’s a great option for you guys!! We don’t have a Costco near us (sadface – I love Costco) but my husband shares a Sam’s Club membership with his sister so he uses that every once in a while. I rarely go with him, because it’s basically his equivalent of shoe shopping, and therefore I am sometimes surprised by the stuff he brings home! I usually get my parents to take me to Costco once a year when they come to visit and then I stock up on the few things I’ll buy there, like toilet paper. Last trip to Costco, I price checked all the items I bought at Costco on my last trip and I saved 49% on laundry detergent, 71% on buying fourteen LED light bulbs to lower my electricity usage, 21% and 47% on two different types of vitamins, and 46% on toilet paper. I was joking to my boyfriend that maybe we should get a Costco membership and then I wouldn’t be tempted to buy a year or more supply of toilet paper when I actually go there! At one time, long ago, we had a Costco card, but we found that for just 2 people, it didn’t really work for us. We don’t have the storage for the bulk size items and we just can’t get through all the food. Instead, I sometimes have a friend pick up items for me if I absolutely need them (or want them – like the snap peas). Another thing we’ve recently read is that our friends can purchase a gift card for us (that we pay for) and shop with that instead of buying a membership card. We haven’t done this yet, but we’ve thought about it. Sounds like a good option! Storage is a definite must for Costco items…. we have one entire closet dedicated to it :). We are pretty big fans of Costco. Our main purchases are paper towel/toilet paper and diapers. When we had to get formula for our little guy, their price for the size was much better. Once a year we also get Costco’s Zyrtec and the savings on that pretty much pay for the membership. Throw in the less expensive gasoline for our cars and we come out ahead lots of times. But like you mentioned… you have to stick to the list of you can get quite the shock at checkout. The Costco Zyrtec is my go-to as well. Once you account for those savings, the membership costs nothing. I’m single though so there’s not a lot I’m buying at Costco. Their Sonicare only came in a 2 pack, I could never get through 2 gallons of milk, etc! Even Johnny and I had a hard time with two gallons of milk before Sally came along, so I totally get where you’re coming from. Sal drinks more than the both of us now! Seriously. Formula is super expensive usually, so I’m glad you mentioned that. And the Zyrtec is a great deal, too. I’ve not stuck to the list a couple of times, and I definitely learned my lesson! We definitely do Costco. We thankfully share the membership with my MIL, so that helps to keep the cost even lower. We tried the Executive membership once, and didn’t find it worth it financially. As for what we save on, it’s usually organic items. We find their paper products more expensive and less eco-friendly than what we buy at Whole Foods. Their organic milk is far more expensive than what we can get at the grocery store. However, their organic ground beef is generally a great price. They also often have great organic produce cheaply, depending on the season. I do think you really have to price compare some items though because I have found Costco to be around the same price, if not a little more, for some staple items (like organic eggs). Glad you’ve found some items that work for you. And you’re right… price comparison is always a good idea. With the cash back option at the end of the year, the Executive membership is pretty much the same price-wise as the Gold Star membership, which is why we chose it. We used to have a membership but found that it wasn’t worth it for 2 people. I’m a vegetarian, and I know a lot of the food savings are in meat. Also, we had a tendency to buy things we wouldn’t usually just because of the deal. We buy paper products (recycled) from Trader Joe’s and it’s pretty cheap, plus we’re already going there! Good for you for realizing it wasn’t worth it for you guys. And I wish we had a Trader Joe’s closer. I’m trying to figure out a way to petition for them to build one near us! We also do Costco! It saves us a lot on Laundry detergent, Cheerios, Shampoo/Conditioner, Intuition razors, ziplock bags, cleaning supplies, and party throwing supplies (we like to host things) like alcohol, burger patties, and buns. The best prices are with their coupon books, the ziplocks and cleaning supplies especially I buy when the costco coupons for them are out. I also feel better shopping at a store that pays their workers a living wage, and Costco is one of the only retail or grocery companies I know that do. I forgot about laundry detergent!! That’s a huge savings for us, too. And good point about their employees! I recently let my membership go and it’s been a HUGE relief. When you’re shopping for one, it’s really hard to buy enough to make it worthwhile, plus the quantities are so huge that I could only buy things that could be stored or frozen because otherwise they’d go bad. I usually only spent around $50/month there, and most of what I bought wasn’t any cheaper than the price I could get at the grocery store 3 blocks from my home. Plus… a trip to Costco meant 30-40 minutes in the car round trip… it’s soooo much easier to just walk down the street – plus I’d rather support my neighborhood stores anyhow. It sounds like it was a good call. If it were just me shopping, I don’t know if I’d get my money’s worth from Costco. Good for you for making a decision you feel good about! I love costco! I have had a membership since I left home. I reckon the savings on my contact lenses cover the annual fee alone. There are just the two of us so perishables aren’t always worth getting but we buy toilet rolls/kitchen rolls/wipes/bin bags etc when they are on offer and pick up meat etc to seperate and freeze. Its great for pressies and electricals due to their returns policy. We normally visit around once a month. A couple of friends at work ask me to take them now and again at lunch time and in return for using my membership they shout me lunch ; Win win! However my parents REALLY love costco. They have been to every UK store al9ng with a few in other countries. They visit every. Single. Week. When we visited Orlando a few years ago we went to costco there to stock up on water/juice/snacks to take around the parks. If/when we have kids I imagine we’ll save even more. If UK stores sold fuel we would use that too. That cracks me up about your parents! With ours right down the street, I probably go weekly, too, to pick up milk, fruit, and lettuce! And way to get free lunch out of it! My boyfriend & I have had a membership since we moved out & it’s just the two of us. I work about 5 mins. away from a Costco & it’s not out of my way when I head home so I usually swing by 2 – 4 times a month on weekdays. We love that place & buy all types of things on a regular basis: Toilet paper, paper towels, fabric softener, dryer sheets, 3 pack of toothpaste, re-fill razor blades (we use the same razor type), frozen meals, chicken breasts, eggs, cheese, butter, trail mix, water, soda & booze. One time items / rare stuff: Shower head, fan set – w/ 1 large & 1 small, car windshield shades, pillows, kitchen hand towels, movies, kid books & clothes for our nephews & some adult clothes. I’d say we get good use out of our membership; plus since I go after work on weekdays with a list of items I need & use the scanner & self check out lanes, it really doesn’t take me any longer than a regular grocery trip. Hot Dang! You definitely get good use out of your membership, Kristin! Ours doesn’t have self-checkout lanes!! That sounds amazing. We hit Costco 1-2 times per week for bulk “staples”. I agree with the 30-50% savings and you get quantity. We love the Baby Spring Mix salad and Baby Spinach. Naan bread for mini pizzas, TP, paper towels, water. We have a standard “go to” list of items that we keep on hand. Our Executive membership is paid for by our 2% rebate each year. If you have one close, check it out. Same here. We have a go-to list that I always keep a mental inventory of. As soon as we’re running low, to Costco Sally and I go! Totally. When Johnny and I lived in NYC, we had to commute really far for Costco, so we would do MAJOR stocking up… our totals back then were never under $200, and sometimes they were over $300! We have a Costco membership, but I went with a gold bc I didn’t think that we would spend enough to earn back the $55 difference. However, I do find that our grocery budget has been blown out of the water since we joined. I am hoping that since we are soooo stocked up on things that I will see a nice decrease over the next several months. I don’t see any information on the Costco website stating that they will refund the difference in the $110 membership and your 2% rewards. Is this something that you have to be in the know about? 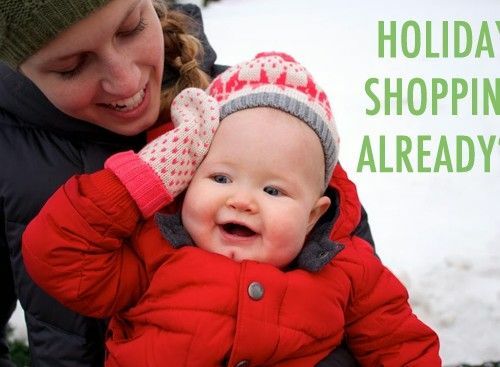 When we do major stocking up, it messes up our grocery budget for a month, too. But the next couple of months are usually a good bit lower. As far as the refunding the difference, we were told that by an employee when we got our membership. So I’m not sure whether it’s something they publicize. If you look at Tarynkay’s comment below, she had the difference refunded at the end of the year. So, yay, it really does work! We don’t Costco ourselves but instead “piggyback” as a guest with our neighbour who does have a Costco membership. Whenever he goes there I tag along (if we should at times need something), let him pay the whole bill then pay him back what we owe him. In like manner, after working for several years at a national retail chain, I still can buy stuff at their stores after saving a nice employee discount off the total cost of my purchases. So, in like manner, my neighbour “piggypacks” on my shopping trips there, buying what he needs and adds his purchases to mine (to enjoy my employee discount), He then later pays me what he owes me. He benefits from my employee discount and I save on not having to buy a yearly Costco membership and yet still enjoying Costco’s great prices. It’s a win-win for both of us. My husband & I LOVE Costco! We try to stick to the list, but usually add a few things here & there. For example, we drink Peet’s Organic Coffee. One trip to Costco found us adding 2 more bags to our cart, even though we still had half a bag at home, because it was $5 off each bag. When we asked someone why, I guess they overstocked and wanted to get rid of some inventory. WINNING! But the main reason I love Costco is their return policy. We might have the best one ever – we bough a mattress topper there one year. Within 2 and a half years, it had these weird lumps in it, a huge divot in the middle and we couldn’t sleep with it anymore. Just for giggles, my husband called our Costco, spoke to the manager and he told us to bring it back in. We got a FULL refund on it. What other store would do that?! So, yes, I agree that a Costco membership is totally worth it! Wow! 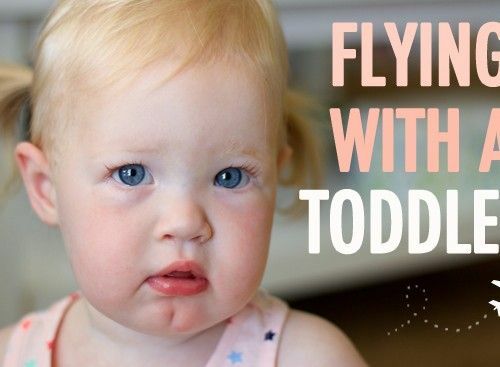 We’ve never returned anything to the store, but that’s a pretty amazing story. Good to know for the future! Thanks for sharing, Maureen! We had a Costco membership two years ago, got the executive membership and did not earn $55 cash back. However, we were easily able to get the $25 difference refunded at customer service. I just had to show them the inadequate refund check. They refunded the difference with a Costco giftcard, but that was fine with me since it is fairly easy to buy $25 of food you need. We just got a membership again and the sales lady again urged me to get the executive membership and again assured me that the difference would be refunded if we did not make it back on the 2% cash back. The same saleslady urged me to check out the Costco American Express card which is supposed to have great rewards. So I am looking into that. I am always trying to figure out what is a good deal there vs what just looks like a good deal. I would love to see what other people think are the big money savers there. Awesome. I love hearing your first-hand experience on getting the difference refunded. Since they only take AmEx credit cards, the Costco AmEx card could be a good option. 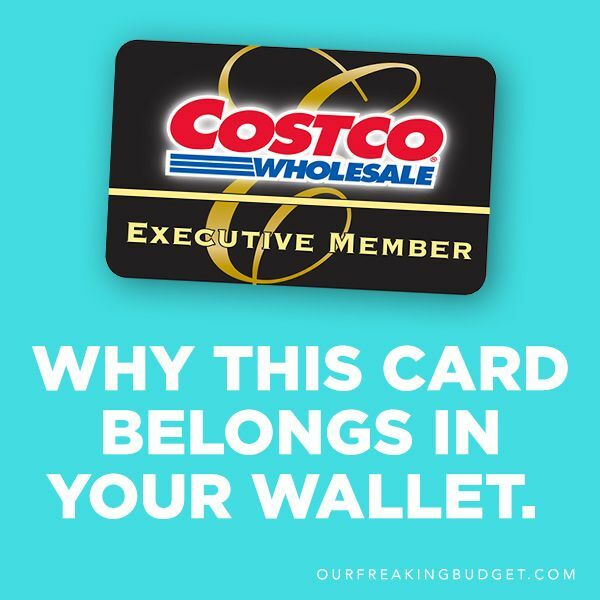 Our no-fee AmEx card doesn’t have any rewards, and with the amount of money we spend at Costco, I really wish it did! You’ll have to let us know what you decide! I love Costco too! I have an executive membership and it is definitely worth it. I agree with your advice of sticking to a list – I come with my clipboard, list, and pen every time! I may switch out a new snack item or 2 to try something new, but sticking to your list is key! I have also heard of people sharing their memberships or buying some of the bulk produce and sharing the cost with neighbors. I love it. I’m always there with my planner and pen! Grocery lists for the win! While I do shop the pharmacy at Costco, I don’t see the value in a membership for me. They have fabulous prices on medications and you don’t have to have a membership to take advantage of them. The problem I have is that the closest one to me is 19 miles away. Perhaps, if one was closer I might reconsider but as a single person I don’t have the need to buy in bulk. Additionally, I’m not much of a consumer and I find that my local Publix grocery store has such great BOGO deals that Costco doesn’t beat their prices. I hear it’s a great company to work for, too. Probably a good call on holding off on the membership for now. And way to take advantage of those BOGO deals. We don’t have Publix out here, but my family in the South loves them! I’m a big fan of Costco but was really getting sick of the hard sell to upgrade to Executive level. I can’t stand the the condescending “That’s too bad… I guess you don’t like to save money…” remarks from the cashiers when I tell them no. I must have been clearly annoyed this weekend because after the usual spiel the guy told me if I didn’t want to be asked again I could just write “NO” w/ a Sharpie on the back of my card and that would let them know not to ask me again. Just a tip for anyone else that doesn’t want to be badgered every time they go to check out. That’s super lame that they’re trying to hard sell you on the Executive membership. Even when we didn’t have it, we never had any cashiers do that to us. And, I think you should write “NO!” in Sharpie. That would be amazing! $2.69 for two dozen eggs?! Not 18? THAT IS AMAZING! I’d make up the cost of a membership if I only bought eggs there!! Wowzas. No kidding! I make scrambled eggs a lot around here (which, luckily, Johnny and Sally don’t ever complain about) so it’s totally worth it for us, too! My husband and I love Costco. When researching dog food, we found that their brand was rated 4.5/5.0 stars. We buy grain free (our dog has an allergy, weird, I know) and the switch to their brand saved us about $200 a year. We also buy organic baby spinach, organic coffee, organic spring mix, chicken, ground turkey, hummus (I’m an addict), toilet paper, paper towels and contact solution. Usually whenever the oil is on sale, we stock up. We also have bought windshield wipers there at about 40% savings. Our membership is well worth it. Just have to avoid the random purchases! I love Costco but the key is to manage the unit price per item. I used to write all the unit prices down and comparison shop when at other places like Target and Walmart. Now I use an app called Price Cruncher for my Samsung Galaxy S5 that allows me to save all my items and track price history. It does all the math for me when I’m shopping so I can manage which stores have the best prices, and when sales are actually a good deal! So yes, Costco is best for Milk and Eggs for example, but Diapers are usually cheaper somewhere else! I was looking at your post last night, and noticed that you have some incorrect information about the different memberships: Executive Membership ($110): “This membership gives back 2% on all of your purchases. At the end of the year, Costco will send you a check for the cash back you’ve accumulated. If the amount on the check isn’t at least $55 (the cost of a standard Gold Star membership), their customer service counter will give you the difference.” I think Costco is lying to their prospective members to make more money because my check wasn’t at least $55, and they said that’s because I don’t shop there that often. That is NOT what I was told when I purchased the $110 Executive Membership. I was told exactly what you stated in the quotes above. Now they are saying that’s not correct. I know for a fact that is what they told me, and that is the ONLY reason we purchased that particular membership. I am really upset, and I will be going into Costco to discuss this with a manager, Do you have any thoughts on this? Thank you! Your membership is cancelable at any time for the full purchase price….so at the end of membership you could ask for your money back and then join again the next day! Hi Tara! Sorry for the delayed response — we’ve been catching up since our move and the holidays. We are very, very skeptical people, so we made sure that policy was legitimate before we bought in. I would be very upset in your situation, too. I hope you were able to speak with someone else who set things right and gave you the correct refund back! And what Brett said below is also an option — they’ll let you return anything, including your membership! So, unambiguously and quite literally the exact opposite of what the Costco salespeople told us. Really? That’s very interesting/disturbing. I wonder if their policy has recently changed. We didn’t hit the $55 this year, so I’m planning to call and see if they’ll give us the extra money back. If they don’t, I’ll be revising this post. Thanks for the heads up, Peter! We just had a Costco open right down from our house outside of Dayton, Ohio. We like the store. Nicer than sams. However some of the pricing ain’t that great. Sams always runs their fresh chicken breasts at 1.99 a pound, Costco is 2.99. Prepared shrimp at Costco…3 pounds for 45 bucks…aldi…its 20. You have to be real careful of what you buy and do your homework! The Keurig cups by Kirkland are a great deal at 37 cents each…..
Good reminder, Brett! Not everything is the best deal, and prices can vary from store to store (which we’ve learned since moving to NYC!). Thanks for sharing your experience! Love the rule about sticking to the list. We used to have a rule which was to avoid the shopping cart and only buy what we can carry. That didn’t always work out though. Back to Costco, though, I’m going to have to look into the cat and dog food y’all have been talking about, as THAT might make the savings worth it. Having three cats and two dogs, the costs for buying them good food can become kind of substantial.